Welcome to Solana Walk - Fountain Valley's Newer Gated Community. Step into this Model Like, Tri-Level, Dual Master, 2 Bedrm, 2.5 Bath 1,302 SF, End Unit w/Oversized 2-Car Attached Garage w/Epoxy Flooring. 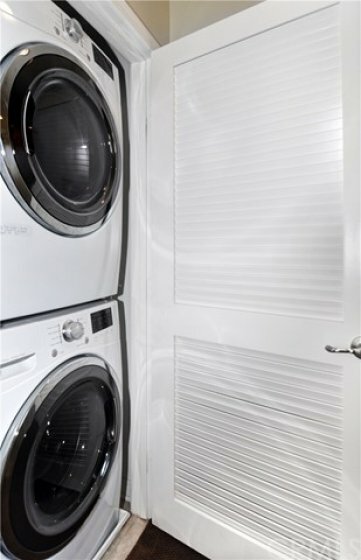 Built in 2013, this Highly Upgraded Condo has Central A/C, Dual Pane Windows w/Plantation Shutters, Quartz Countertops, Custom Interior Paint, Recessed Lighting, Ceiling Fans in All Bedrms & Living Room, Indoor Laundry & Direct Garage access. From the 1st level, you can enter the Home through the Main Front door or Direct Access from Garage. 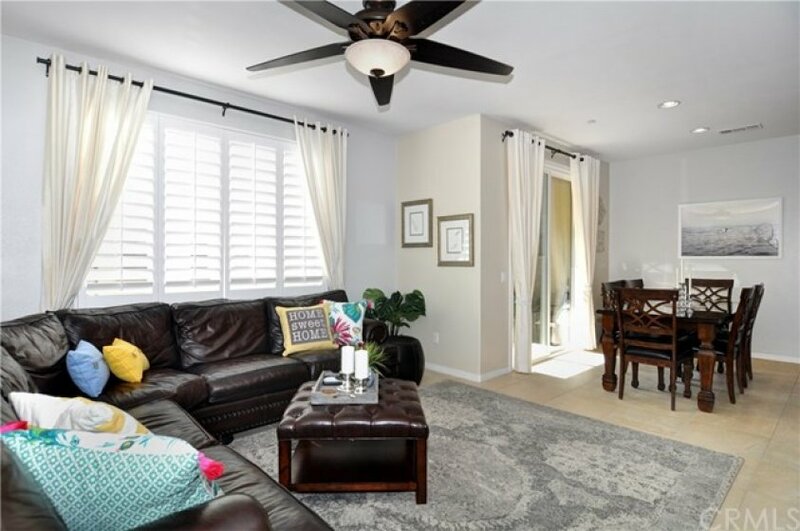 Light & Bright 2nd level has an Open Floorplan w/Porcelain Tile Flooring, Spacious Kitchen w/Dark Mocha Colored Cabinetry, White Quartz Countertops, Custom Tile Backsplash, Stainless Steel Kitchen Sink & Appliances & Large Breakfast Bar for plenty of additional seating. Dining Rm w/Glass Sliders Opens to a Private Balcony. Living Rm w/Extra Large Custom Ceiling Fan receives plenty of Natural Light from Several Windows w/Guest Half Bath on same floor. 3rd level includes 2 Master Bedrms w/2 Full Bathrms. One w/Double Quartz Vanity Sinks, Walk-in Closet, Ceiling Fan & Tub/Shower Combo. 2nd Master Bedrm has Mirrored Closet Sliding Doors, Ceiling Fan, Single Quartz Vanity Sink & Tub/Shower Combo. Don't Miss this Incredible Opportunity to own in one of Fountain Valley's Newer Gated Communities walking distance to Fountain Valley Library, Boys & Girls Club, Top Fountain Valley Schools & just minutes from the Beach, Shopping, Dining & Freeways!